We worked with RBS to help Chemian Technology access working capital to meet growing international demand for its products. Darlington-based Chemian Technology develops and manufactures ingredients for the pharmaceutical, chemical and cosmetic industries. With an annual turnover of £2 million, the SME exports to 20 markets, and overseas sales make up 80% of its revenue. 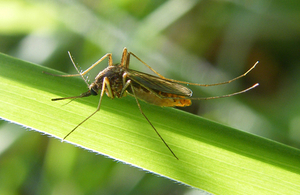 One of its most successful export products is Citrepel®, a wholly natural active ingredient used in insect repellents. With the outbreak of the Zika virus in a number of countries, international demand for this product has grown significantly. For Chemian, this has created a challenge: finding the funding required to deliver ever-growing volumes to customers. By working with UK Export Finance and its bank, the Royal Bank of Scotland (RBS), Chemian has found a solution. When Chemian won a contract worth £0.5m with an Italian customer (equal to 25% of its annual revenue), it approached RBS to secure a working capital loan. With the support of a UKEF guarantee, Chemian was able to access substantially higher levels of funding. This allowed Chemian to fulfil this significant export opportunity at the same time as putting resources towards other overseas business activities. The support we have received from UK Export Finance and RBS has been invaluable. Their backing has allowed us to be more ambitious in our export activities, making a real difference to our ability to grow our business. UK Export Finance is here to help businesses of all sizes grow their businesses overseas. This is a great example of how UK Export Finance can help a company that has international demand for its product and the capability to grow its overseas sales, but needs financial support to realise those ambitions. RBS has a longstanding relationship with Chemian and it is a valued customer with great potential for growth. With the introduction of UK Export Finance’s comprehensive support, we were able to increase the funding available to a valued customer. Our helpline is open from 9am to 5pm.